Oddly enough, Sir Martin didn't name "alien invasion" in his list of doomsday scenarios. 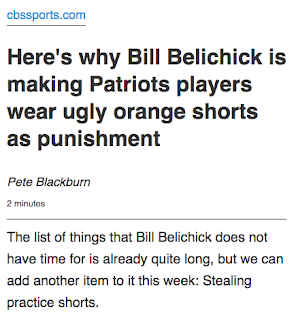 Very odd, he's always had so much to say about them in the past. Is he being coy or did he get "the talk?" Or maybe when he talks about AI he's actually talking about-- you guessed it -- Cosmo-Demonic AI. Share your thoughts in the comments. Well, the action never lets up in the Down Under. 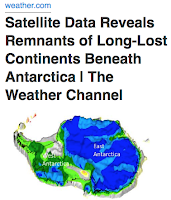 For some reason we keep seeing revelations emerging from the South Pole, many of which are either weird or weird-adjacent. And this all seems to have picked up steam shortly after the 2016 Elections. 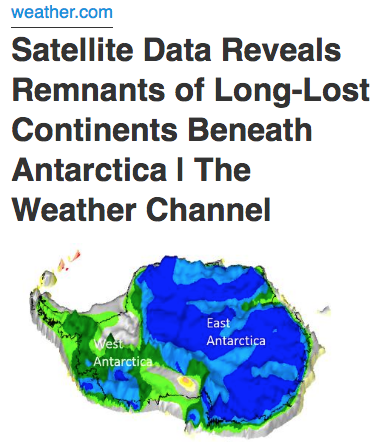 Now we have stories about long-lost continents hitting the wires. Were the old pulp writers onto something after all? And do note that no small number of stories emerging from the frozen wastes have to do with Victoria Land. And you know why. 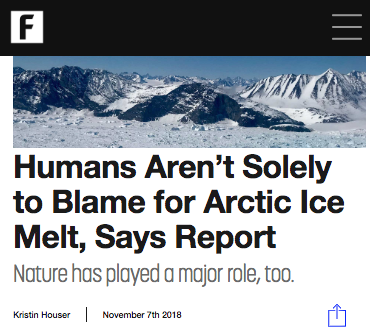 That's reassuring-- massive geothermal events that have been going on for hundreds of millions of years aren't totally our fault. Just mostly. Shame on you dirty humans, bogarting a gluttonous 3% of the planet's total surface! 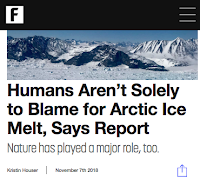 Quick, someone phone up all the Davos-Bilderberger people at their 100,000 sq foot mansions and tell them to gas up all the SUV limos and private jets. 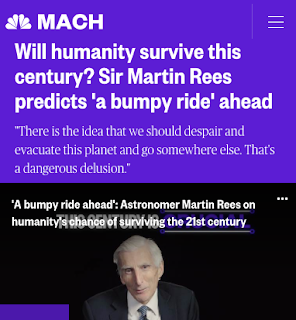 The world needs saving! One of the truly amazing things is how much orbital photographs resemble 90s comic books. And man oh man-- look at the size of those clouds. This shot must have been taken during that global superstorm a few years back? You know the one that wiped entire cities off the map? That was a bad one. And just look at those super-saturated colors! WOW! Like nothing I've ever seen before. 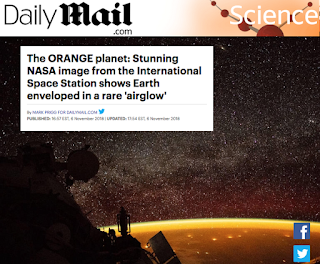 Is this outer space or a double page spread from an old Rob Liefeld comic? It even has that wonky skewed perspective we all recognize from Youngblood and Fighting American. Amazing. 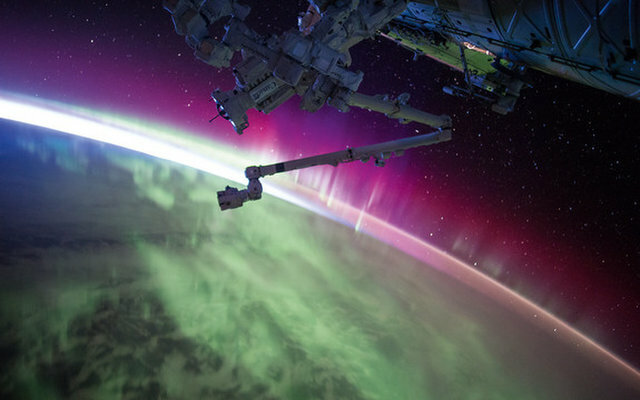 Outer space is amazing. It's so cool. And just like Elon said, you know it's real because it looks so utterly fake. And don't look now, but Molech is back! Bigger, badder and hungrier than ever! Time to drag those tophets out of the storage unit! Those infants aren't going to sacrifice themselves! 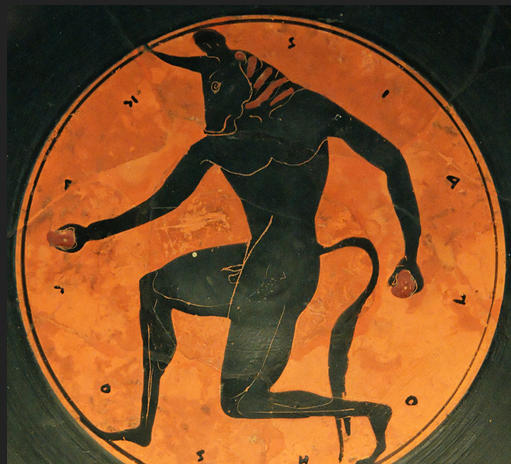 Just for future reference, I think the designers confused minotaurs with centaurs. A common mistake. This is what they actually looked like. Maybe I'll drop them a line. I just don't want them thinking I'm getting on their case. 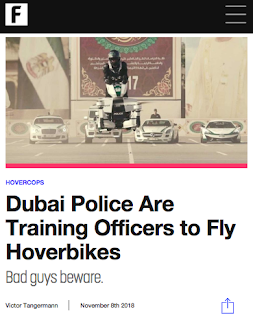 Well, this settles it--Dubai is officially an old 80s sci-fi show come to life. Or did someone there just watch Return of the Jedi one too many times? Either way, do note that big 17 there. 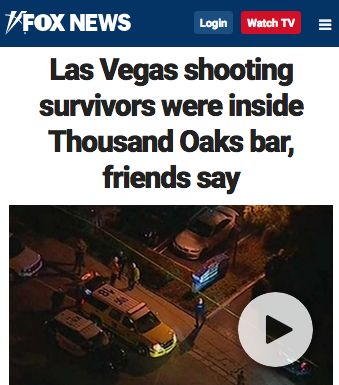 Then there's this horror story again, the shootings at the Borderline Bar in Thousand Oaks, heretofore the third safest city in America. And the connection to Heaven Upside Down or Las Vegas? What a mess. 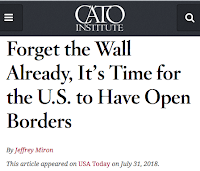 What's really weird is how the shooting of a bunch of country music fans at the "Borderline" syncs up when this whole controversy over asylum seekers and the big push for open borders is heating up. 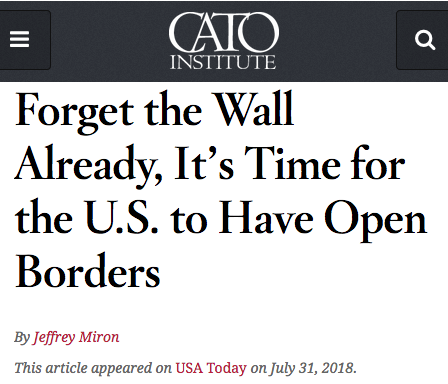 It's so strange; open borders were long identified with the fringe libertarian Right, like the Kochs, the Wall Street Journal and the Cato Institute and now it's identified with the progressive Left. Just like so, so many policy positions that were once the sole province of the fringe Right (even the extreme Right) are now the major planks in the progressive platform. What a weird old world this is. 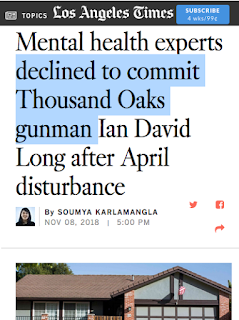 And damn- another mass shooter falling through the cracks of the System. How many is that now? 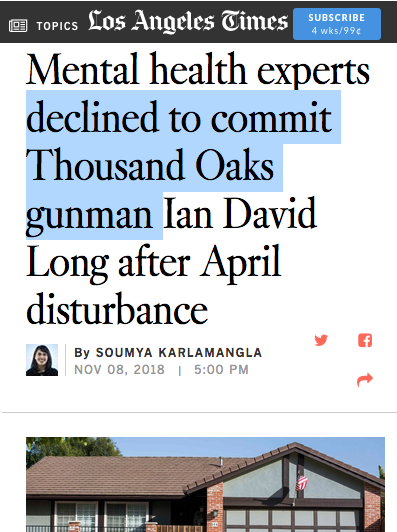 Man, all these guys who are severely mentally-ill and have had multiple run-ins with the cops are still able to buy guns even in heavily-regulated states like California. Too weird. Things are really going crazy lately. Someone fix that damn simulation program already. 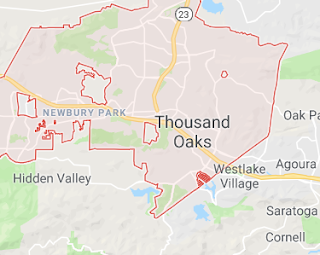 Weird syncs abound-- the Borderline is not only a 10 minute drive from Jack Kirby's former home (who I was discussing in a podcast that went live during the shooting event), it's just north of Cornell. 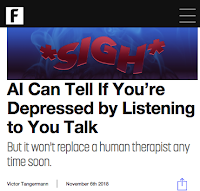 We'd better get these AIs listening to us pronto so they can figure out who's depressed or not. We can't trust this responsibility to the System. Too many mass shooters have fallen through the cracks already. Depression can manifest with many different symptoms, from a "loss of energy" to "indecisiveness" - broad criteria that make the condition difficult to diagnose with a high degree of certainty. Now, researchers at MIT's Computer Science and Artificial Intelligence Laboratory are working on an algorithm that could eliminate some of that guesswork. 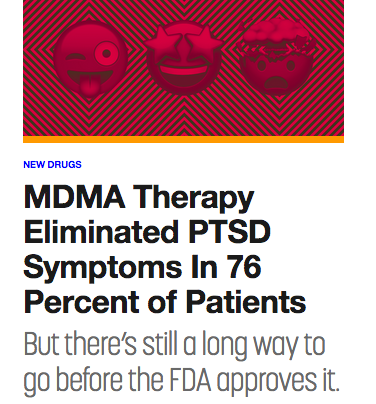 Seeing as how this latest shooter was suffering from PTSD, maybe we should prescribe molly for military personnel upon discharge. Maybe everyone else too. Eventually, I mean. It's a shame there's already a drug trade-named "Soma." 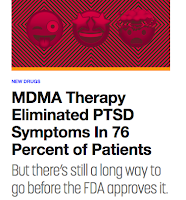 Maybe they can work that out with whoever gets the legalized MDMA contract. 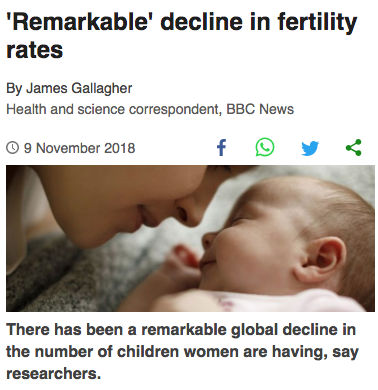 'Remarkable' decline in fertility rates There has been a remarkable, global decline in the number of children women are having, say researchers. Their report found fertility rate falls meant nearly half of countries were now facing a "baby bust" - meaning there are insufficient children to maintain their population size. 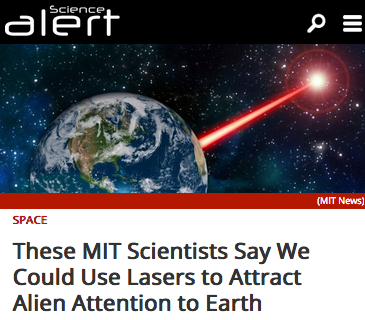 The researchers said the findings were a "huge surprise". Get those birth-bags ready, Science. We're counting on you! It is tough being a parent these days, though. 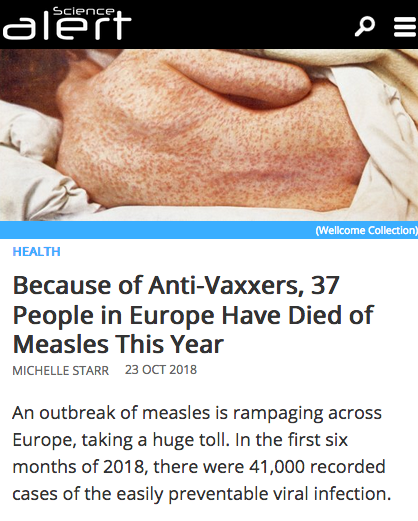 After all, those anti-vaccination maniacs have caused 37 people to die from the measles this year, thanks to scare stories over mercury levels in MMR vaccines. 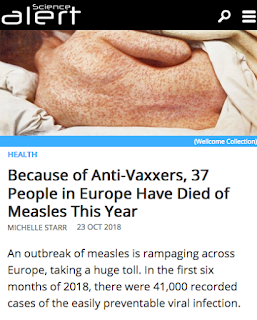 Shame on them. I guess it was an oversight on her part. Hey; we all overlook things. Relax. The mystery of skyrocketing autism rates might have another solution, however. 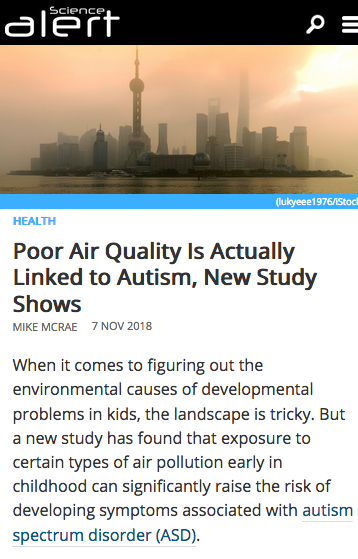 Researchers are now linking air pollution to autism spectrum disorders. There may be something to this; at one point there were five autistic boys in my neighborhood. But a major interstate is at the end of the street and we're smack-dab in the flight path back and forth to Newark Liberty. 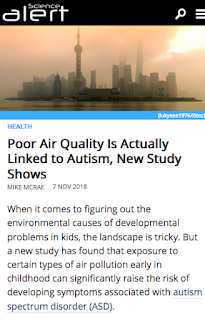 So, in other words, maybe autism is a result of heavy-metal toxins and their impact on unborn children, especially boys and not necessarily because of the MMR vaccine. Note: heavy-metals are elements such as mercury. 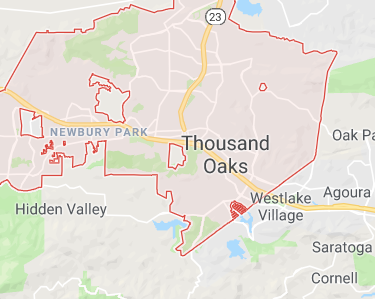 The Camp Fire kicked up the day of the Borderline shootings and destroyed the town of Paradise, CA. Talk about symbolism already. Gah. 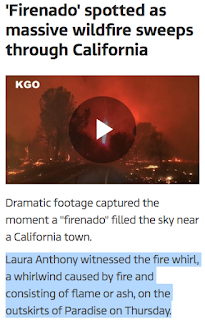 And now it's yet another "Biblical" fire producing "Apocalyptic" scenes. 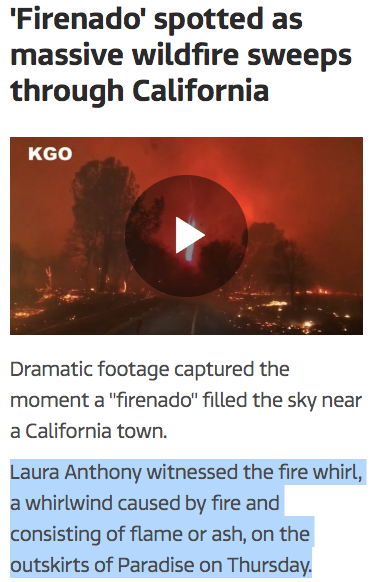 But the Camp Fire has introduced me to the concept of the "fire whirl," a term I'd never heard before. 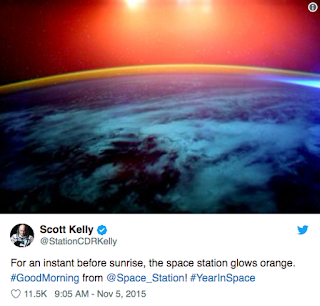 I guess it's like "fireball season" and as such is an artifact of the Mandela Effect. Speaking of the Mandela Effect, here's a good example: a proto-metal band I've never heard of until recently but seems now to be the mostest importantest proto-metal band ever. 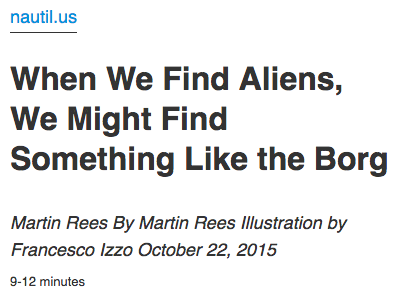 Take my word for it: these guys didn't exist before. I don't mean they were so obscure I didn't hear of them, I mean they didn't actually exist. I would know, believe me. There was a much happier story to emerge on the 7th though. The so-called urban mermaid, who's swimming the length of the Thames (allegedly to raise awareness about plastic) stopped to rescue a drowning cow, who'd fallen into the river. 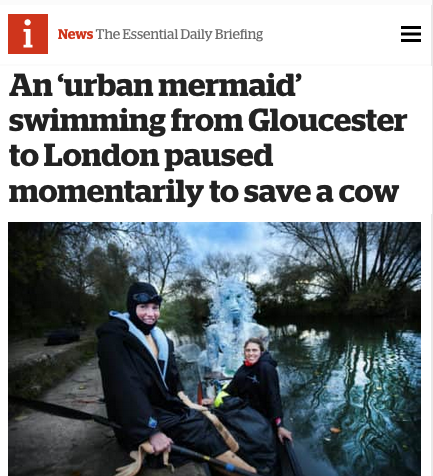 A drowning cow was rescued from a river by a passing "mermaid" on a 200-mile swim of the Thames. Lindsey Cole splashed into the river in a wetsuit, tail and hat at Lechlade, Gloucestershire, on Friday. She is raising awareness of the environmental effects of single-use plastic. A lot of folks told me about this woman for obvious reasons. And regular readers remember this is the second Thames-connected mermaid story in the past six months. What struck me in light of the symbolism here is the fact that Jeff Buckley identified himself as a "calf" in his "I'm sorry that I cheated on you with pretty much everyone with feet, Liz" song, "Morning Theft," whose title and lyrics make connections to the gut-wrenching "Theft and Wandering Around Lost." That just three short days after this odd story ran, about someone I never heard of before who communicated with Buckley through time. Incidentally, OA. 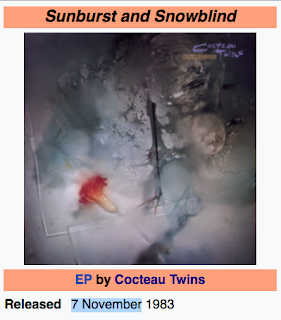 Oddly enough, the 7th was the 35th anniversary of this milestone's release, which is where I first heard the Sibyl calling to me across stretches of infinite time on tracks like "Because of Whirl Jack," which may actually be about airships (it clearly namedrops the Parseval and whip stitching). NOTE: "Whirl Jack" is the one that sounds exactly like the best Smithereens song ever when played at 3/4 speed. Lastly, this may be the Year of Violaine (purple for the unitiated) but Orange is still a thing. Connecting back to the Orange Astronaut's book of stunning Rob Liefeld establishing shots is this photo. It's weird- can anyone explain the perspective here? Every photo I see from the ISiS seems to be a wildly-divergent orbital heights. I'm sure I'm just stupid but do let me know. 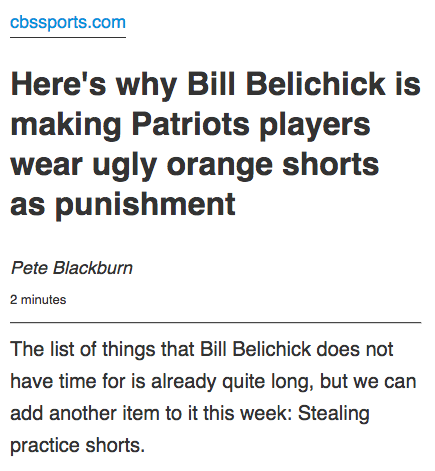 There's also this bit of Orangosity concerning the greatest football team and coach that has or will ever be. And then there was this story of Pete Davidson bashing you upside the head with Orange during the skit in which he looks-shamed a number of politicians, including a disabled veteran. Weirdly enough, it was the first time this guy ever made me laugh. And he was big enough to admit that he's no Brad Pitt himself. Sadly, he's got one of those faces that will only get uglier in time. 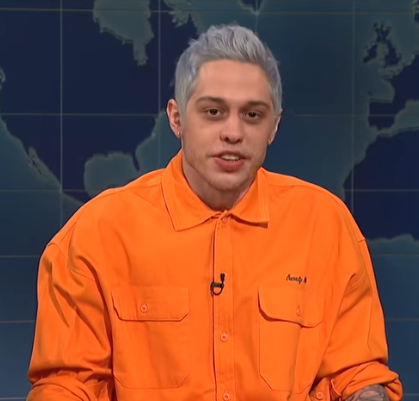 But hey; did YOU bang Ariana Grande?